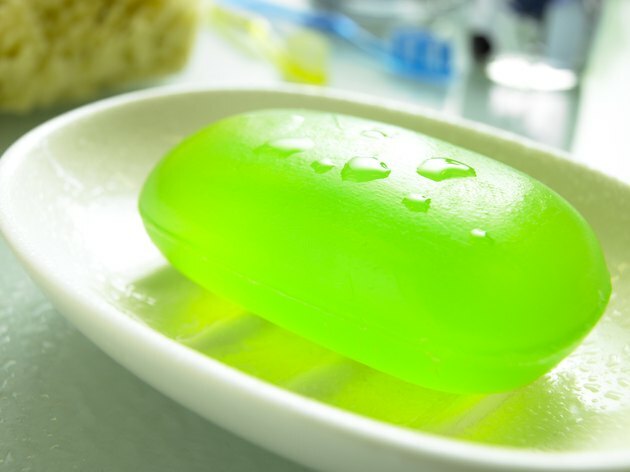 Soap is a cleaning agent made by combining an alkaline substance with fats. This product is very effective at lifting oils and greases from surfaces such as skin, fabric and floors. A variety of ingredients can be used to make soap, and the ingredient type determines the characteristics of the final product. Soap used to be made by combining lye with animal fat. In early America, soap was made by combining lye with animal fat. Lye solution was made by soaking hardwood ashes with water and then filtering out the ashes. This highly caustic solution was mixed with saved cooking fat and stirred for hours over an open fire. The resulting soap was used for every type of cleaning chore. Soap is made by mixing an alkaline substance with fats in a chemical process known as saponification. Soap is made by mixing an alkaline substance with fats in a chemical process known as saponification. The alkali reacts with the fatty acids to create a long molecule that is hydrophobic (water hating) on one end and hydrophilic (water loving) on the other end. This molecular structure gives soap its cleaning properties. The hydrophobic end is attracted to oils and grease while the hydrophilic end is attracted toward water molecules. Mixed together, soap pulls oils into very small globules, creating an oil-and-water suspension that is more easily washed away from surfaces. Lye is the most commonly used alkali for soap-making. Lye is the most commonly used alkali for soap-making. The chemical name for lye is sodium hydroxide. Another type of alkali is potassium hydroxide, also known as potash. The type of alkali used affects the final properties of the soap product. For example, potash tends to make soap that is softer while lye produces a harder soap bar. 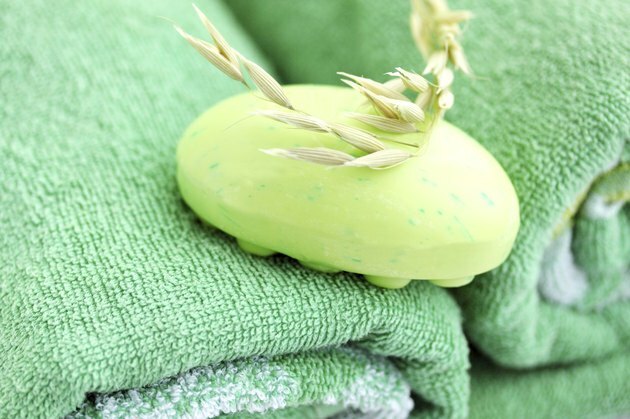 Many different types of animal and vegetable fats can be used to make soap. Many different types of animal and vegetable fats can be used to make soap. Traditional soap-makers used animal fat (lard or tallow) that was saved from cooking and butchering. However, there are a wide variety of vegetable fats that can be used instead. These include coconut oil, peanut oil, almond oil, palm oil, olive oil and soybean oil. The different fatty acids in these natural oils give the resulting soap different properties and textures. The longer-chain fatty acid molecules in lard make a soap that is very hard and somewhat difficult to dissolve in water (lather). The shorter fatty acid molecules in coconut oil create a soap that is softer and easier to lather. Different oils can be combined to create soaps with the desired softness and lathering properties. Additives are often added to enhance the soap product. Additional ingredients are often added to enhance the soap product. Natural skincare ingredients such as aloe, honey and oatmeal can be added. Often, perfumes and fragrances are added. 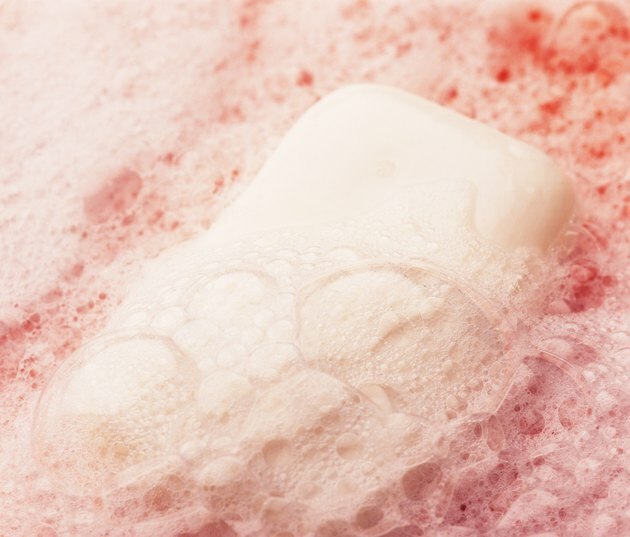 Preservatives may also be added to extend the life of the soap bar. Detergents have different chemical properties than soap. 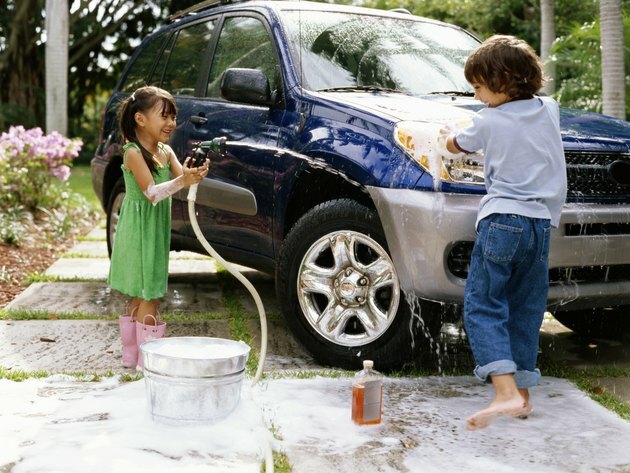 The terms soap and detergent are often used interchangeably. However, detergents have different chemical properties. One disadvantage of soap is the soap scum that results when soap is used in hard water. Soap combines with the calcium and magnesium in hard water, creating an insoluble precipitate that drops out of solution onto the nearest surface. Detergents have a different molecular structure that does not precipitate with calcium and magnesium, thus avoiding the dreaded bathtub ring.